Following are 7 of the most famous shipwrecks of Lake Superior, each with its own ghost story. 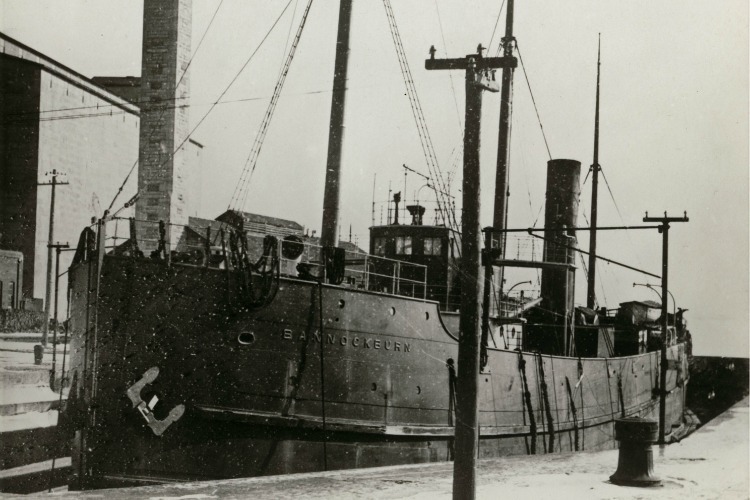 SS Bannockburn was a Canadian steel-hulled freighter that disappeared on November 21st, 1902. Its loss is one of the biggest mysteries on Lake Superior, with no trace of the missing vessel ever to have been discovered. Since her disappearance, many sailors claimed to have seen her running without lights during stormy weather. 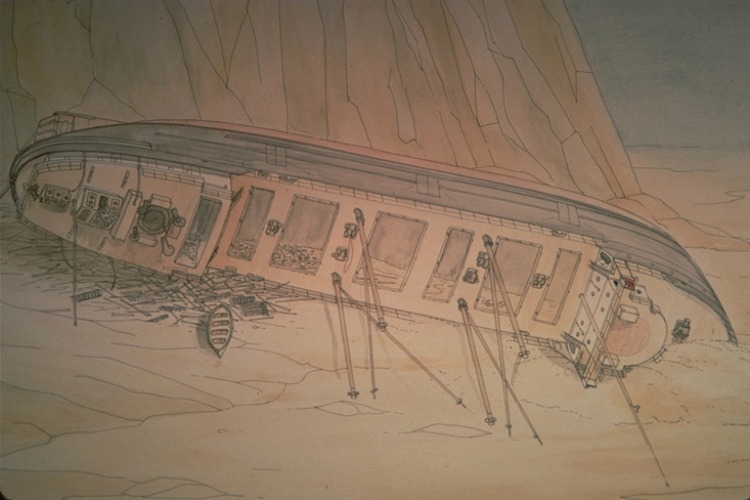 The ship was lost in the middle of the lake, and all 21 people on board lost their lives. The Bannockburn, which was 245 feet (75 meters) long, and 40 feet (12.2 meters) wide, was on her way from Port Arthur to the Soo with a load of wheat, but disappeared without a trace sometime after 11:00 PM on November 21st. She had been launched 9 years prior her disappearance, in 1893, and had quite an unusual profile for a freighter. On her voyages hauling grains for the Montreal Transportation Company, captains from other ships could recognize the Bannockburn before they could even read her nameplate. The ship had become a common sight on the Great Lakes. What’s interesting about the Bannockburn is the fact that she had 2 major incidents before she sank. In April 1897, the ship ran aground on the rocks near Snake Island light. Even though no lives were lost, she was badly damaged. 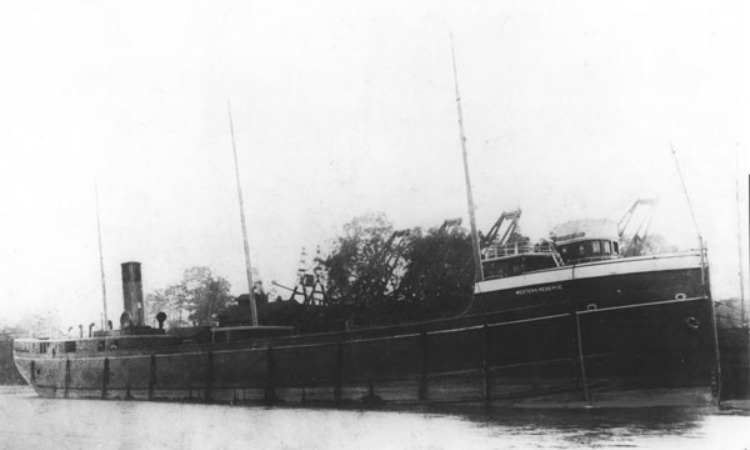 Several months later, in October 1897, on her way to Kingston carrying grain, she struck the wall of the Welland Canal and took 9 feet of water. On November 20th 1902, one day before her final voyage, the ship ran aground shortly after leaving Fort William, and turned back to port. Having suffered no apparent damage, the Bannockburn recommenced her journey on November 21st 1902. The ship was later spotted by the famous Captain James McMaugh of the Algonquin, who estimated that the Bannockburn was 80 miles off Keweenaw Point and 40 miles off Isle Royale. Later that night, as a strong winter storm began on Lake Superior, the Bannockburn was spotted at about 11:00 PM by the passenger steamer Huronic, never to be seen again. On November 30th 1902, the ship was declared lost. However, this doesn’t mean that the Bannockburn wasn’t allegedly sighted afterwards. Easily identifiable by her profile, it’s hard to mistake it for another ship. While some of the sightings are clearly just stories, others are not that easy to dismiss, and have been reported in regional newspapers. One such story was that of the ore freighter Walter A. Hutchison, shortly after World War 2. When the crew saw the Bannockburn just a hundred yards away coming straight at them, the captain tried to put some distance between the Walter A. Hutchison and the Bannockburn, and steered to the northeast. The Bannockburn went past Walter A. Hutchison safely, only to run aground and disappear. If the captain of the Walter A. Hutchison hadn’t changed course, the ship could have easily be destroyed by the rocks. The SS Western Reserve was a propeller that was lost on August 30th 1892 off Deer Park, Michigan.The ship was 301 feet long, had a beam of 41 feet, and was one of the first lake freighters made out of steel plate. Out of the 27 people on board, only one man survived, wheelsman Harry Stewart, who managed to make land on a desolate stretch of shoreline between Grand Marais and Deer Park. 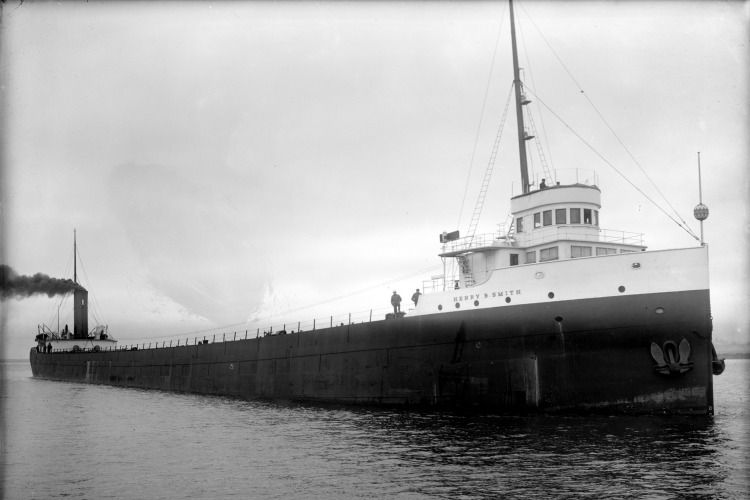 At the time of the incident, the ship was heading to Two Harbors, Minnesota, for a load of iron ore. During a relatively mild gale, she broke in two and sank. Steward’s report on the ship’s metal fatigue led to the conclusion that the Western Reserve had been improperly built using brittle steel contaminated phosphorus and sulfur. Her loss due to hull failure caused a great deal of controversy and ultimately led to the creation of new laws for the testing of steel used in shipbuilding. The owner of the ship, the famous financier Peter Minch, was onboard the ship with his family when it went down. Strangely, Captain Truedell of the Great Lakes Life-Saving Service dreamed about the accident in great detail before it happened. As a matter of fact, he dreamed it in such detail, that he recognized the body of Peter Minch when he found it washed up on shore. The ship still makes ghostly apparitions around Deer Park, where Lake Superior produces gigantic waves, in all seasons of the year. It is said that on warm, calm nights the sounds of voices and laughter can be heard across the gentle waves. The Hudson was a propeller that sank near Keweenaw Point on September 16th, 1901, while carrying flax and wheat in an outbound trip from Duluth. The ship, which was built in 1888 in Detroit, was 288 feet long and was one of the most recognizable ships on the Great Lakes. She capsized in a terrific gale, probably because her cargo shifted, as flax especially was prone to do. She was never seen again after her disappearance. The Hudson also has its own legend. Allegedly, a tugboat captain and his mate were near Keweenaw Point on September 16th sometime in the late 1940s, when they saw a rusty ship, covered in brown slime, heading directly towards them. The tug captain managed to avoid the crash and supposedly boarded the ship to see if it was in distress, only to be “greeted” by the apparitions of the Hudson’s helmsman and captain. They proceeded to explain the tug captain that the ship and the crew were damned to relive the sinking of the ship each year on September 16th. Warning him to get off, he leaped from the ship and swam back to the tug boat in the icy, frigid waters. The SS Henry B. Smith was a massive steel-hulled freighter, 525 feet long, 55 feet wide, and 31 feet high. The ship was lost near Marquette, Michigan, on November 9th or 10th 1913, during the Great Lake Storm, one of the biggest storms ever recorded on the Great Lakes. She was on an outbound trip to Cleveland, carrying iron ore. All 25 people onboard the ship died in the sinking. After the ship vanished, she became a highly sought-after “ghost wreck” for a century. The shipwreck of the SS Henry B. Smith was finally found in 2013, 100 years after she disappeared, in 535 feet of water offshore from Marquette. The SS Emperor was an enormous steel ore steamer 525 feet in length, which sank during a storm in 1947, killing 12 people onboard, including the captain and the first mate. At the time of her launch in 1910, she was the largest Canadian freighter ever built. On the night of June 3rd, 1947, the Emperor left Thunder Bay, Ontario, carrying 10,429 tons of iron ore. At midnight, the captain turned the ship over to his first mate. Because the first mate had been in charge with loading the cargo only a few hours earlier, it is very probable that fatigue contributed to the mate’s failure to notice the error in the ship’s heading. The Emperor ran aground on the north side of Canoe Rocks at 5:15 on June 4th. The wreck is very popular among recreational divers, who sometimes tell strange stories from their excursions. In 1988, one diver reported seeing the ghost of a crewman lying back in his bunk. Another one said he came across a ghostly crewman working in the engine room, while other divers reported hearing engine noises. SS Kamloops was a freighter that was part of the fleet of the Canada Steamship Lines, which sank on December 7th, 1927, 3 years after its launch. All 22 people onboard the SS Kamloops disappeared with the ship. The Kamloops was last seen on December 6th steaming towards Isle Royale, heavily coated in ice. For the next 50 years, SS Kamloops was considered one of the Ghost Ships of the Great Lakes. The shipwreck was finally found on August 21st 1977, northwest of Isle Royale, by a group of sport divers. The cause of the ship’s sinking is still a mystery. The shipwreck is also known for its ghost stories. Some divers reported that its permanent resident, a preserved body in the engine room referred to as “Grandpa”, followed them around in the engine room. Could it be just the water currents combined with the creepy atmosphere? Probably, but more than a few divers have been really scared by the effect. 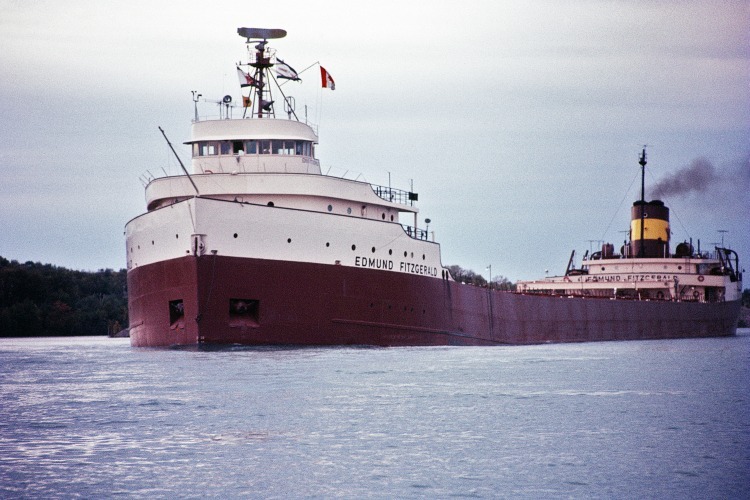 SS Edmund Fitzgerald is the largest ship ever to have sunk on the Great Lakes. With a massive length of 729 feet, at the moment of her launch on June 7th 1958, she was the largest ship on the Great Lakes. She sank on November 10th, 1975, and the entire crew of 29 people lost their lives. The ship was a real workhorse for 17 years, carrying iron ore from mines near Duluth to Detroit, Toledo, and other ports around the Great Lakes. She set seasonal haul records 6 times, breaking her own previous records several times in the process. She started her final voyage from Superior, Wisconsin, on November 9th, 1975. By the next day, the Fitzgerald was caught in a severe storm with near hurricane-force winds, and waves 35 feet in height. 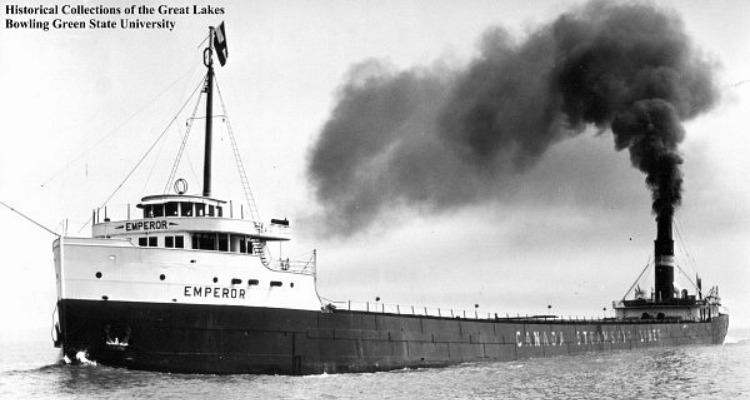 She sank shortly after 7:10 PM, about 17 miles from Whitefish Bay in Canadian waters, near the twin cities of Sault Ste. Marie, Ontario and Sault Ste. Marie, Michigan. No distress signals were sent. The wreck was found 4 days later, on November 14th, 1975. The ship was supposedly sighted by a commercial vessel 10 years later.